Perfect for open spaces in a large farmhouse, dining room, foyer or home with cathedral ceiling. It is the perfect rustic accent to a modern space. 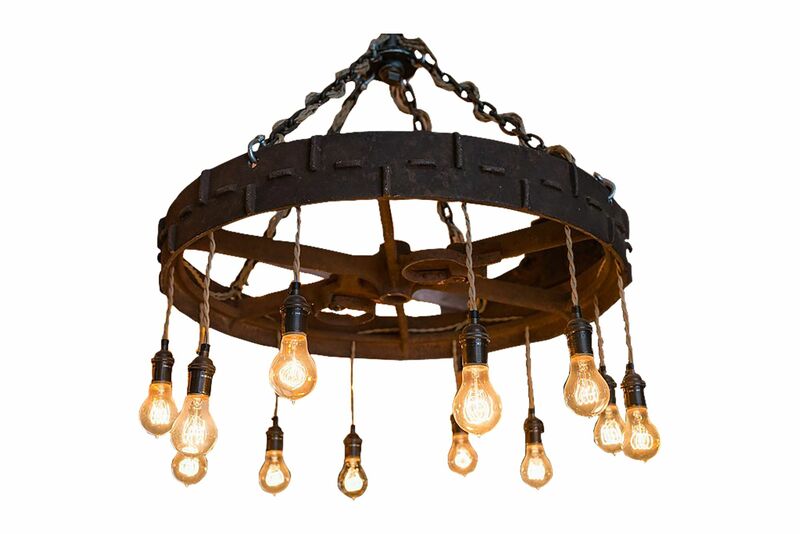 Reclaimed antique farm implement cast iron wheel with vintage reproduction pulley colored cord holding 12 lights.